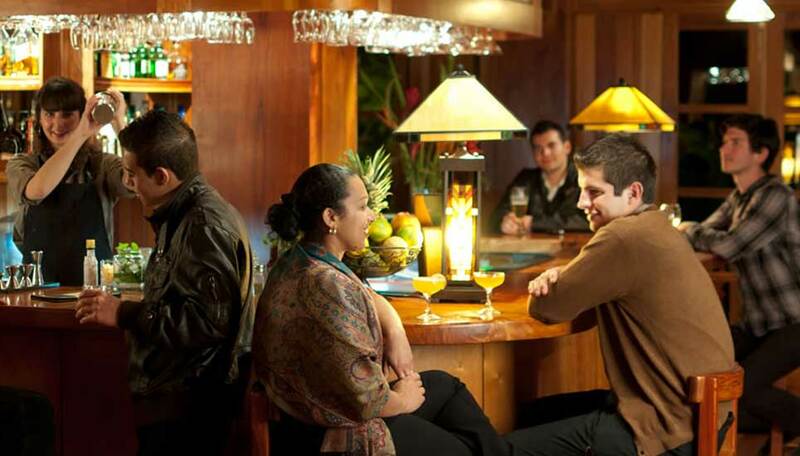 This family owned hotel offers stunning views over the cloudforest accompanied by warm, friendly service. Hotel Belmar is open year round. The Belmar was one of the first hotels in the Monteverde area and remains one of the most popular. With just 23 rooms, this family run hotel offers warm and friendly service and views over the cloudforest that are second to none. The rooms are housed in two main buildings. Both built in the style of an Alpine ski lodge, reflecting the time the owners spent in Austria before returning to Costa Rica. The spacious rooms have floor to ceiling windows and a private balcony looking out over the forest with views of the Nicoya Peninsula in the distance. The décor is warm with wooden carved furniture and local artworks. The superior rooms in the separate chalet have jacuzzis with fabulous views. 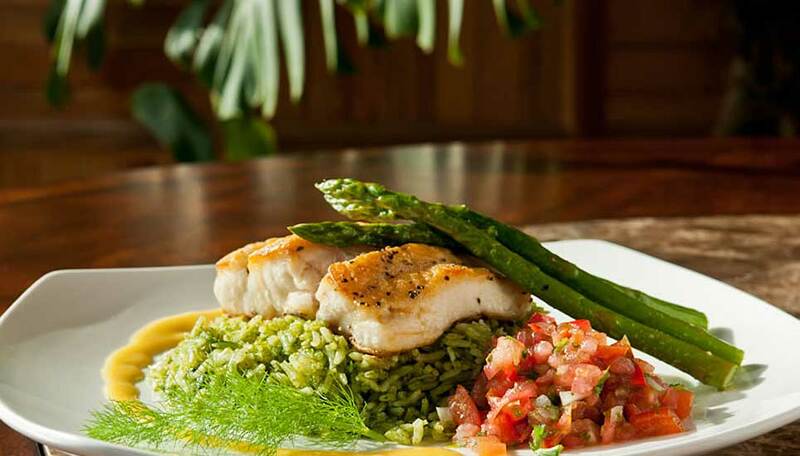 Meals are taken in the vibrant Celajes restaurant. Here the emphasis is on home grown organic produce and farm-to-table meals wherever possible. 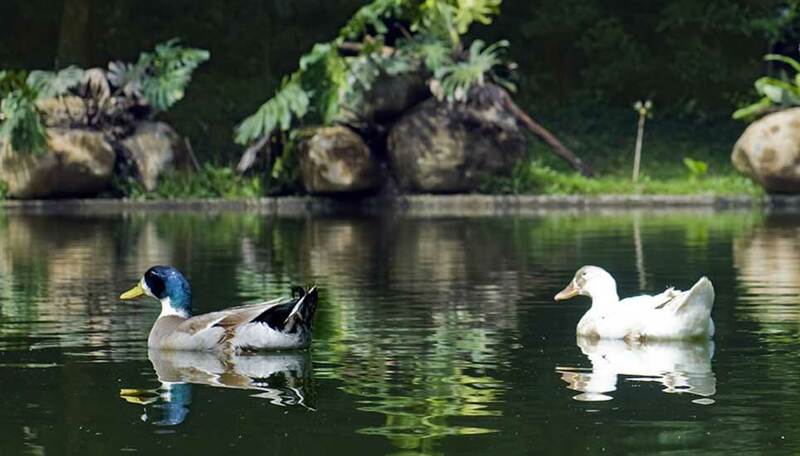 Immerse yourself in the tranquillity this hotel and surrounds offer, with beautiful manicured gardens and a private nature trail, or relax on the sundeck by the spring water pond. 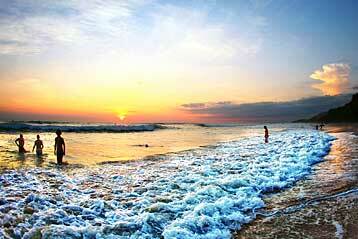 Why go to Hotel Belmar ? The hotel Belmar has excellent eco-credentials and they have been working hard at this since opening 30 years ago. As you would expect, the water is solar heated, and obvious steps are taken to save electricity such as energy-saving lightbulbs, they even use environmentally friendly cleaning products and the toiletries that they supply are also bio-degradable. Not only does the hotel employ over 95% of its staff locally they also source as many products as they can from the surrounding area. They are heavily involved in community projects in the area ranging from education, training, river clean-ups, health-programmes and music and arts festivals. 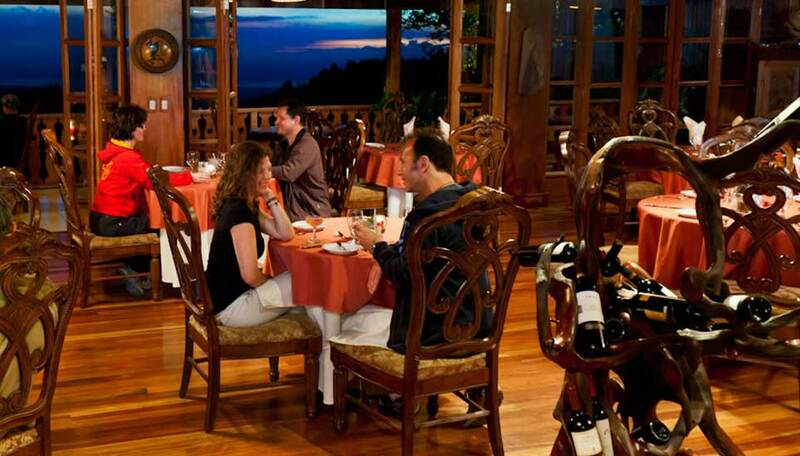 This family run hotel is very much a part of Monteverde. 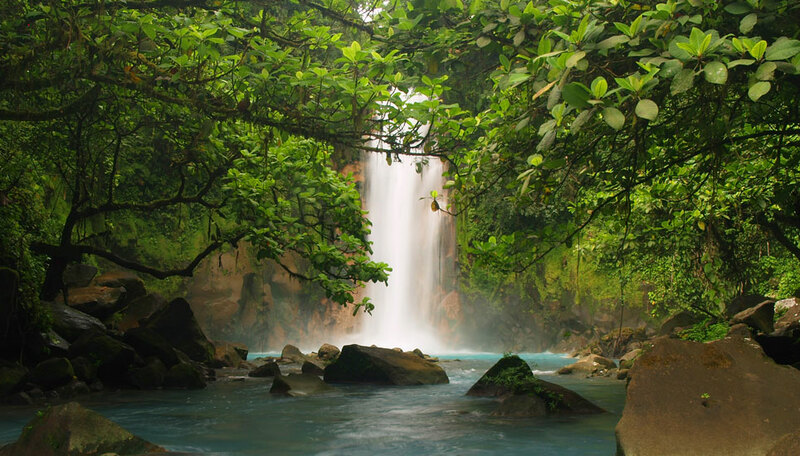 Hotel Belmar has all the cloudforest favourites to show you, either on the property itself or in the area. Take the night tour with a guide and you might see some of the nocturnal animals such as kinkajous, bats and raccoons. There are sloths in the area and if you are lucky you might see armadillos then there are of course the smaller animals and reptiles, the colourful frogs and various insects too – you won’t be bored. Take a trip down into Santa Elena or Monteverde and visit the serpentarium, the butterfly farm or take the bat jungle tour and learn about these interesting creatures. There is a lot to see here! Recommended for children 6 and over. Child rate applies for children 6 to 12 when sharing room with 2 adults. Free Wi-fi in all rooms and social areas. All rooms have telephones to place and receive international calls. Complimentary computers with internet access at the library. Hotel Belmar has 23 rooms, the Peninsula rooms are housed in the main building and the others close by in the Chalet. The Peninsula rooms have en-suite facilities, mini bar, bathrobes and slippers, handmade organic toiletries, magnifying mirrors, hair dryer, safety deposit box, telephones, WiFi and a freshly brewed Costa Rican coffee delivery service. Peninsula Superior Rooms: Whilst they share the same gorgeous views as the Peninsula Rooms, these are located on the second floor and offer a greater degree of privacy and are ideal for couples. Each has a king size bed and the bathrooms are open plan. The floor-to-ceiling patio doors let in light and lead out the private balcony where you can sit and enjoy the views. The Chalet rooms have the same amenities as the guest rooms in the main hotel, but in addition they have high quality linen, a spacious outside seating area with stunning views, cotton slippers and bathrobes, lap-top size safety deposit boxes, complimentary yoga classes. 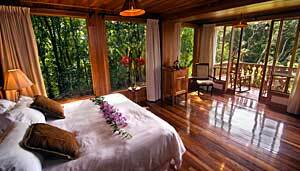 Forest Rooms: These rooms have been recently renovated and are just steps away from the cloudforest. Floor to ceiling windows give the idea that you are surrounded by greenery. The spacious bathrooms which have either a bath or shower also have cloudforest views. Hardwood floors and balconies adorned with arabesque tiles add to the ambience. Forest Superior Rooms: Similar to the Forest rooms, the superior rooms have the floor to ceiling windows offering beautiful views of the forest. There’s a spacious living area and a king size bed or a king plus a queen size bed (ideal for families), and a glass enclosed Jacuzzi, again with those awe-inspiring forest views. Belmar Rooms: If you are on your honeymoon, these rooms are perfect. The views are spectacular as you look out over the Nicoya Peninsula. The décor is uncluttered, classy and has an open-concept bathroom (separate toilet). The bathroom is finished with natural stone and marble and there’s a two-person whirlpool Jacuzzi which has views of the peninsula or the cloudforest. Canopy Room: This room occupies the penthouse of the Chalet and is surrounded by the forest and wildlife. The floor to ceiling windows harbour views of the trees, you are so close it will feel like you are in a treehouse, at one with nature. There is a private whirlpool Jacuzzi with 180 degree views of the trees – bliss. Sunset Room: This spacious room has floor to ceiling windows which give way to beautiful views of the Pacific along with the neighbouring valleys and of course the Monteverde Cloudforest. The spacious terrace sports an outdoor Jacuzzi. The large bathroom has beautiful marble and stone finishes and also has a large shower with forest views. This is all finished off with a comfortable seating area by the windows where you can enjoy the beautiful sunsets. If romance is what you are after, try this room. Sunrise Room: The views here are of the mountains of the Monteverde Cloudforest on one side, and on the other, sweeping views of the Nicoya Peninsula. You don’t even have to venture from your room to do some excellent birding, just sit on your spacious terrace or unwind in the 2 person Jacuzzi and enjoy the views. The room has floor to ceiling windows on all sides and boasts the best views in the entire hotel – and that’s saying something, these can also be enjoyed from the seating area. The large bathroom with natural stone and marble finishes also has an open-concept shower overlooking the forest – it’s as though nature is completely surrounding you.